Hosts Stu Horvath and John McGuire introduce themselves, the Vintage RPG Instagram and the podcast that grew out of it (00:17). Discussion turns to what we’ve been playing. Stu talks about his mixed reaction to Star Wars Rebellion (00:48) and John reveals his love for Golden Girls Clue (03:33). 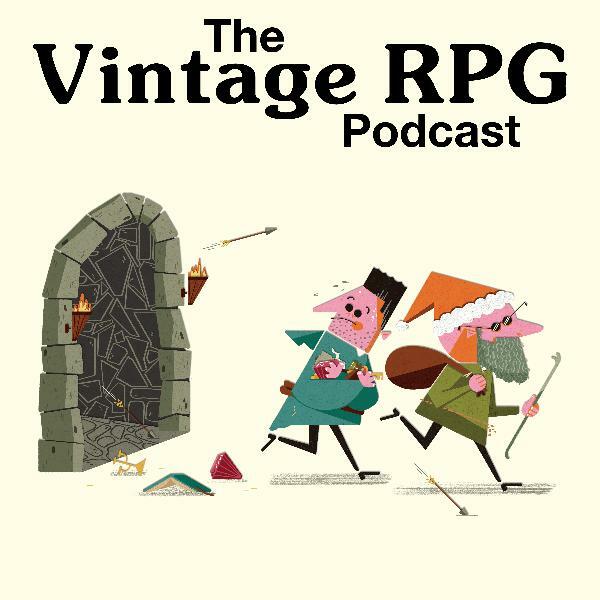 The main discussion starts (07:16) with the reasons Stu started the Vintage RPG Instagram feed and turns towards Monster Manual II for first edition Advanced Dungeons & Dragons (08:50), early D&D artists (10:26), Fiend Folio (13:27), Russ Nicholson (16:23), the Satanic Panic (17:20), Deities & Demigods (18:14) and collecting (19:25), before they pick our favorite monsters from MMII (22:20). The guys then turn to what their excited about. Stu delights in his very specific passion for custom board game organizer (26:23) and John looks forward to the fabled day when the Big Trouble in Little China board game he pre-ordered last year finally arrives (29:12). The guys bid your farewell until next time (32:54). Correction: On the matter of Golden Girls Clue – John confused the rattan chair player token with the room called the lanai (basically, a porch).